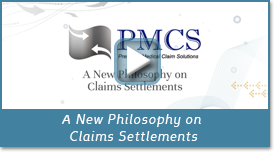 Founded in 1998 by President/CEO Paul Caliendo, PMCS was established to assist Payers and Providers with the medical claim processing, claim negotiations, and claim settlement process—especially out-of-network claims. With extensive experience in the healthcare benefits sector and a background in business finance, Caliendo was uniquely qualified to tackle the inherent challenges involved with developing an efficient and cost-effective solution. With the introduction of the nation’s first and only Advance Funded Provider (AFP) Program, PMCS launched what would become the industry standard for delivering one-stop, out-of-network claim processing and reimbursement services at the best possible discount. Although built on innovation, PMCS is equally grounded in time-honored, person-to-person professionalism—a fact made evident by the growth of the PMCS Proprietary Network.